When you have games like Metal Gear Solid and Dust: An Elysian Tale in the same sentence, it’s hard to tell me your ears don’t at least perk up a little. The Kojima-produced stealth franchise needs no introduction, but Dust is a delightful game you might not recall so easily. It’s famous for being a deep, utterly gorgeous 2D action game rreleasedin the early ages of Xbox Live Arcade, developed almost entirely by Dean Dodrill. Its been years, but the designer has finally announced what he’s been working on since. And it’s going to tickle all your old-school stealth fantasies. Never Stop Sneakin’ is the sort of top-down stealth game you remember from your PlayStation 1 days, combined with the modern take on a bullet hell shooter. A strange pairing of design ideas that don’t seem to compliment each other on paper, but look rather great in motion. Games like Hotline Miami perfected the idea of chaotic stealth, and Never Stop Sneakin’ looks to be tapping into some of the DNA. All while being as ridiculously politically driven as can be. Where else but gaming would a vice-president be an actual helicopter? It’s clear Metal Gear Solid style satire, but its resemblance proves to go deeper still. There’s a lot in this first look that reminds me of the Shadow Moses Complex from the original Metal Gear Solid, and it’s no doubt that its intentional. The pixelated faces of the characters hark back to that era too, giving the game a very different look from what you might have expected a follow-up to the water colour Dust to be. But it looks just as interesting, even if there’s no word yet on when it might be out. What Dodrill did reveal was the platforms it will launch on. Or, perhaps more accurate, platform. 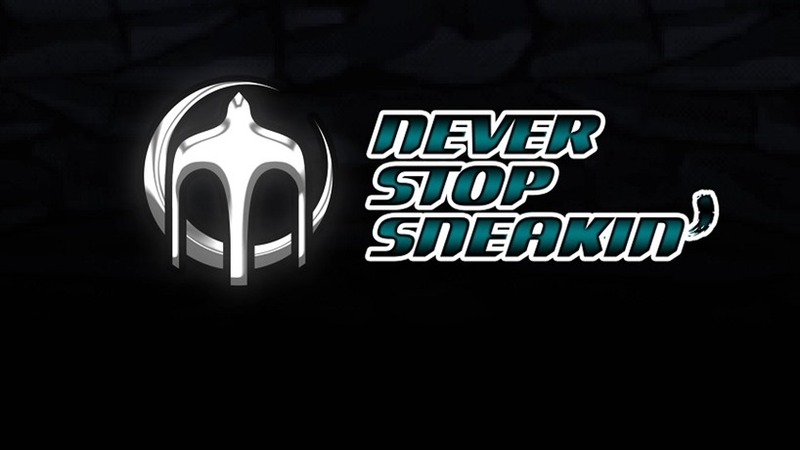 Never Stop Sneakin’ seems to be a Switch exclusive for the time being, but don’t count out the possibility of it jumping to more hardware afterwards.